This Rue de Seine Nova Gown is a Sample Dress from last years season. The dress is used because of the fittings we had last season! It comes without sleeves because this is a special edition. If you are interested we can get the dress cleaned befor sending it out to you. It has never been altered before so it is a standard Rue de Seine UK 10 - with the length of the dress as it comes from the designer. This dress is so Boho, and makes a great entrance! It is very confortable and easy to wear. You can move arround and dance all evening in this lovely dress from Rue de Seine. The inner layer is heavy silk, the lace is cotton lace. It is produced very well and can be used after the wedding for other occations if it gets professionally cleaned and colored. We recomend this to the bride with a free spirit - to get married in a field or on a farm, or in a garden. Would love to hear your offers on this dress - so do not hesitate to contact us! Congratulations on your engagement! 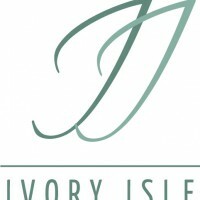 Once you send a message, Ivory can invite you to purchase the dress.